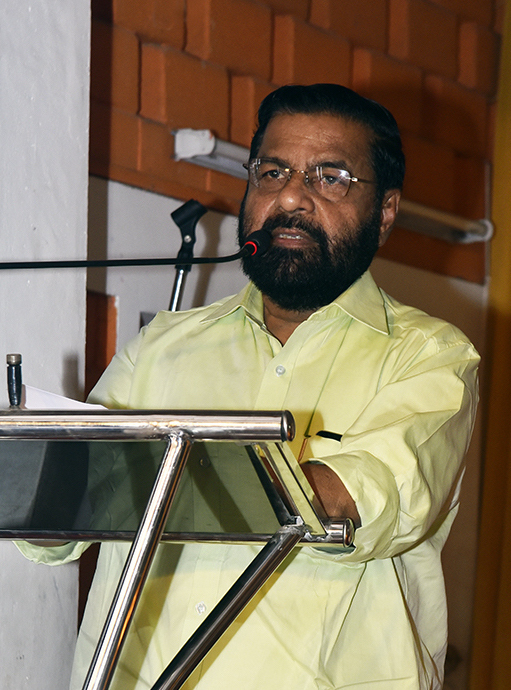 “Contrary to the belief that spiritual attainment and scientific aptitude are mutually exclusive, I must say that the Isa Viswa Prajnana Trust has been successful in blending both,” the Minister for Tourism of Kerala said on March 29th. “We all know that Swami Isa is relentlessly engaged in programs to give a greater scientific awareness about the self and the universe. I sincerely wish that his vision leads to greater achievements,” he said. The diseases of modern world are far more complex than before, brought upon us by human activity and excessive growth. Medicine must also adapt itself. For this reason the IVPT has launched an International Integrated Healthcare Consultancy project, which will share knowledge from experts in all branches of medicine in a case-by-case basis. 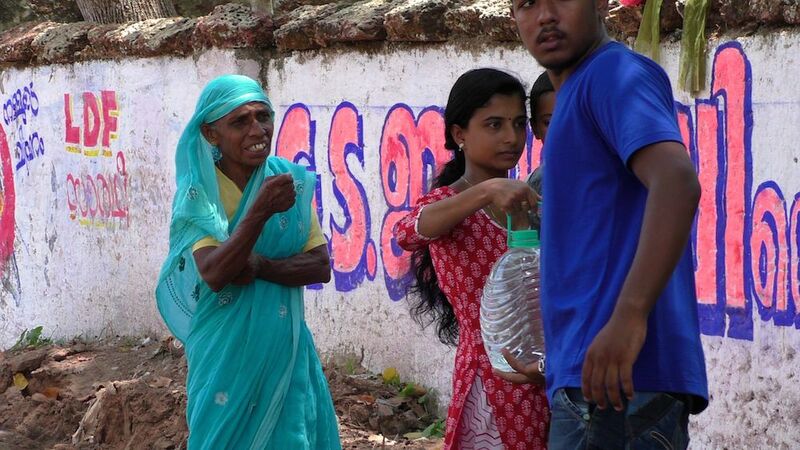 Isa Viswa Prajnana Trust coordinated 9 tonnes of flood relief materials from Mauritius. The container, which arrived in early December by ship, held food items like rice, flour and lentils, clothing, shoes, cleaning and sanitary supplies, and school materials. 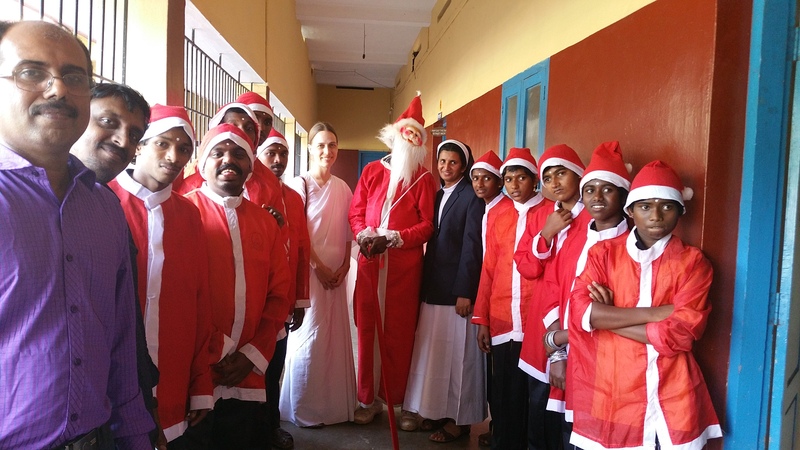 IVPT volunteers visited the Carmel Jyothi Special Needs School in Idukki on December 21st to interact with the children and distribute flood relief items. 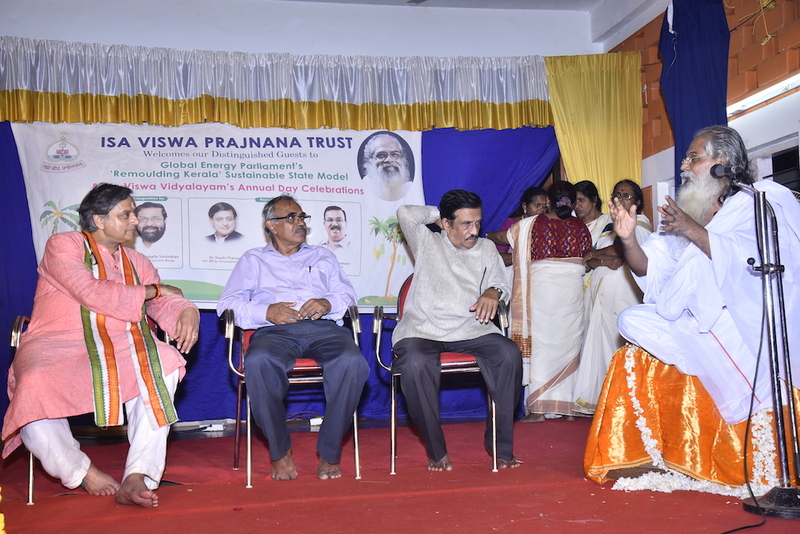 A public function was held with the Vicar, Father Thomas, the Ward Counsellor, the Adimali Village Officer Mr. Jayan, and officials from the school and IVPT representatives. Packets containing food and household items were distributed to each of the children. 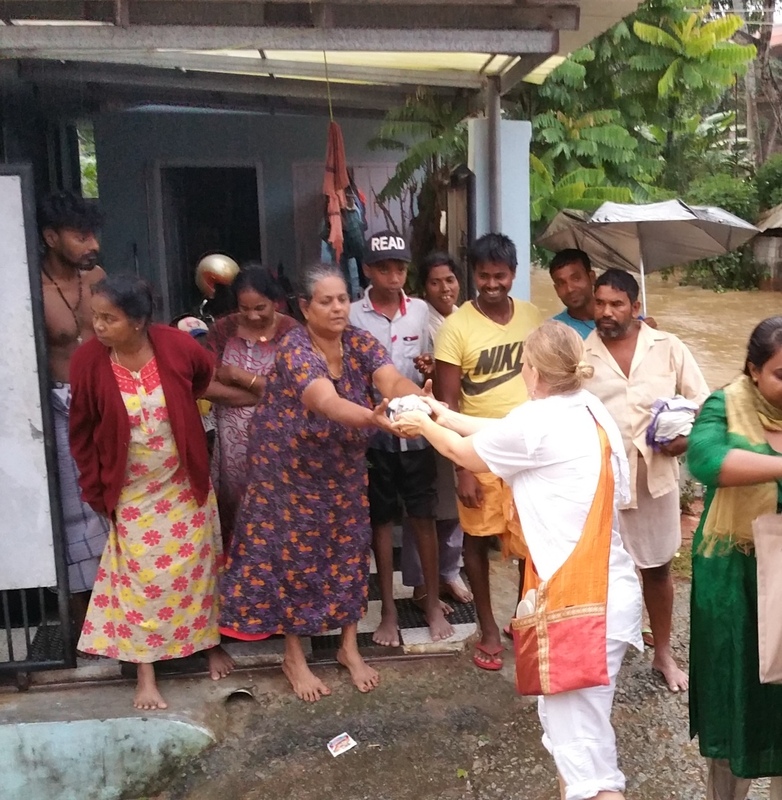 Since the floods began in Trivandrum, the Isa Viswa Prajnana Trust has been distributing food and mateirals to hundreds of affected people in the housing colonies (slums) of Trivandrum. There are dozens of slums in the capital city alone. Prof. Armoogum Parsuramen, the former Minister of Education for Mauritius, launched the Global Energy Parliament (GEP) Mauritius Centre at a function in Trivandrum, Kerala which was inaugurated by the Hon. 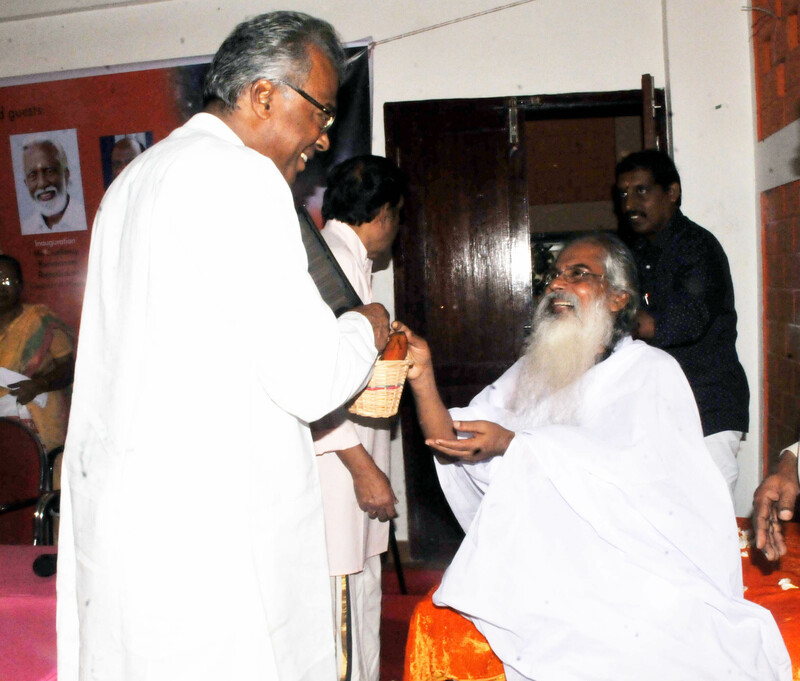 Governor of Mizoram, Kummanam Rajasekharan. Isalayam Ashram is now accepting applications for its 6-month Yoga Teacher Training Course for non-residential students. Sri. 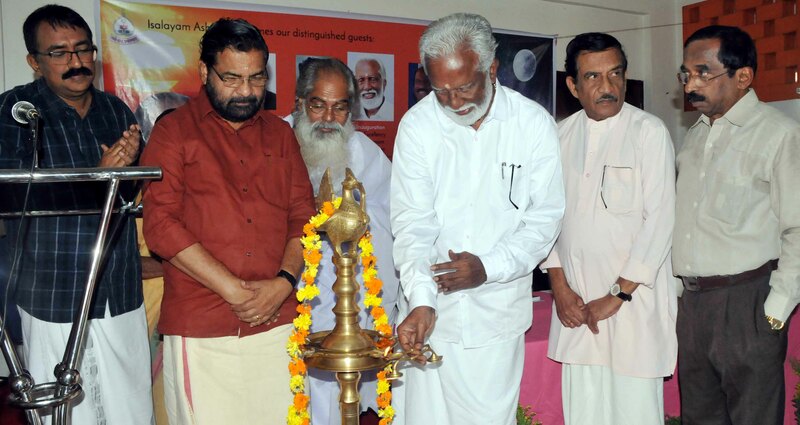 Kadakampally Surendran, Minister for Tourism & Devaswom for Kerala inaugurated the program on Guru Poornima. The course will be held on Sundays for 6 months starting on October 28, 2018 at Isalayam Ashram, Anayara. 25 seats are available. The Isalayam Ashram celebrated International Day of Yoga with a group of yoga teacher training students from various countries including Italy, Spain, West Indies, Switzerland, Canada, Azerbaijan, Malaysia, France and Germany, and school children. His Holiness Jagadguru Swami Isa gave a discourse on "Patanjali's Ashtanga Yoga for Children." 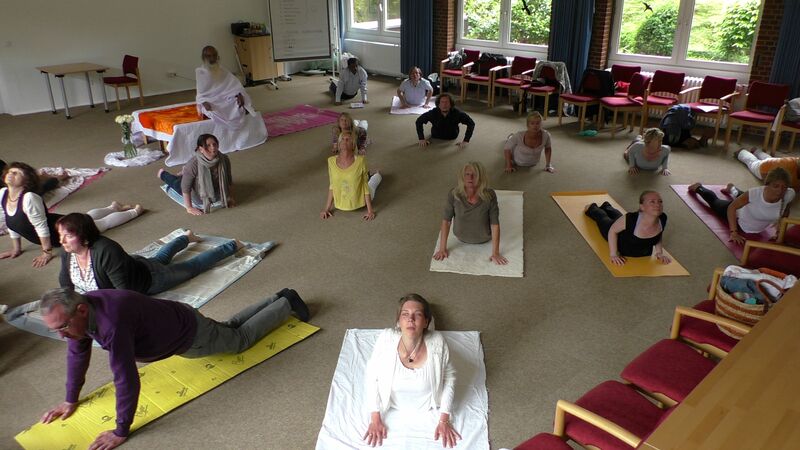 Learn the fundamentals of yoga and stress management with His Holiness Jagadguru Swami Isa. This Free Yoga Class is open to all, held on April 15, from 8 a.m. to 1 p.m. at the Isa Viswa Vidyalayam, Anayara, Thiruvananthapuram. 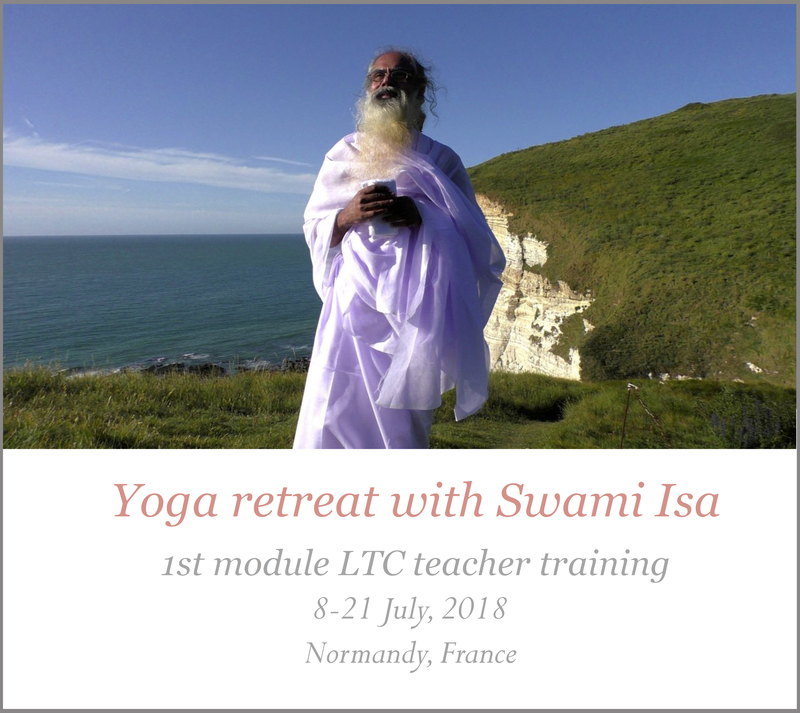 The Center Isalayam France is offering a two-week retreat with His Holiness Jagadguru Swami Isa in the beautiful seaside centre at Etretat, Normandy, France. 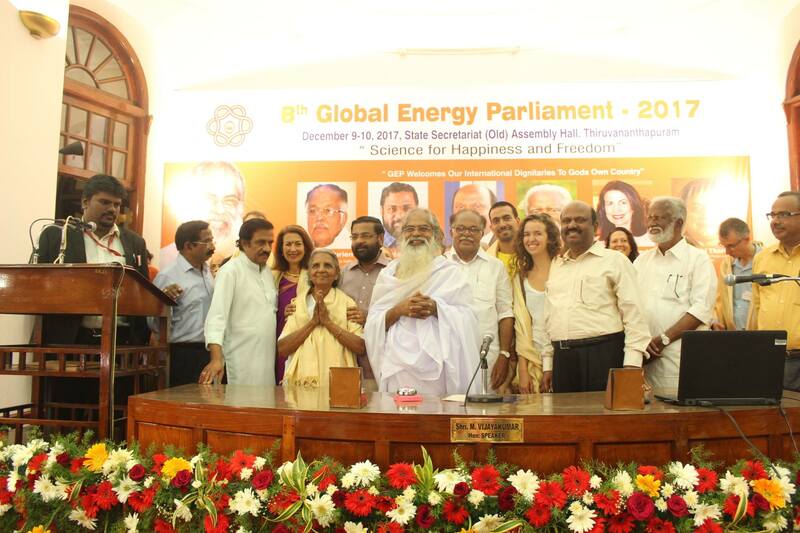 The 8th session of IVPT's Global Energy Parliament was conducted on December 9-10, 2017 at the Kerala State's first Assembly Hall in Thiruvananthapuram. More than 350 people from 16 countries participated in the GEP 2017. His Holiness Jagadguru Swami Isa was the Chief Guest at two events hosted in New Delhi on October 22, 2017. Swamiji inaugurated the Global Nair Sevak Swamaj's “Jyothirgamaya” Program and also held a talk on education at the Uthara Sivagiri Sree Narayana Gurudeva Temple, Greater Noida, New Delhi. 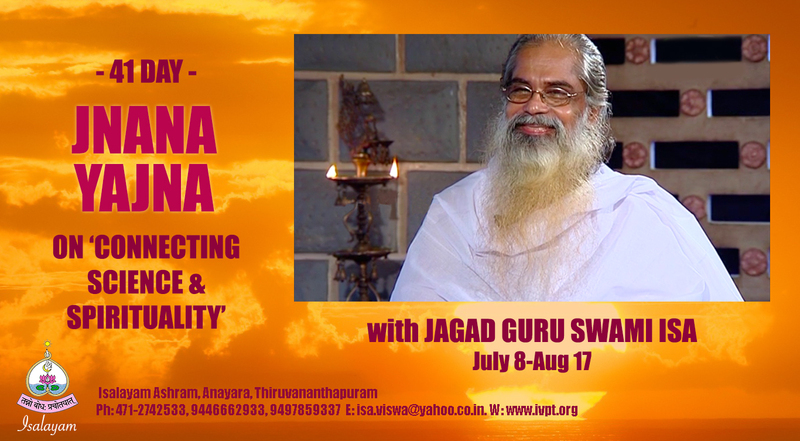 The Isalayam Ashram invites you to a 41-Day Jnana Yajna on “Connecting Science and Spirituality” with His Holiness Jagadguru Swami Isa. Each day a new topic will be covered by His Holiness, ranging from questions about cosmic theory, to DNA, to karma. Please join us for this very auspicious occasion to remove our doubts and ignorance in the presence of the enlightened master. The Isalayam LTC Yoga Centre is offering two FREE Yoga Camps in celebration of the International Day of Yoga! 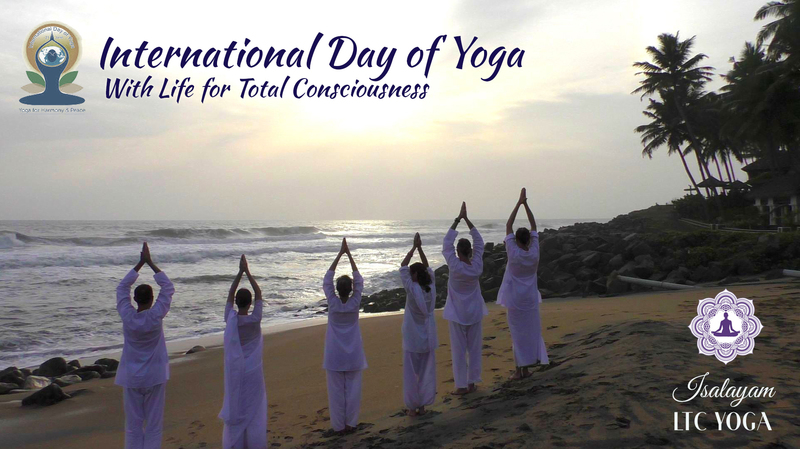 Every morning, learn the real essense of yoga in a simple practice developed by His Holiness Jagadguru Swami Isa, called "Life for Total Consciousness." All ages and abilities are invited to come closer to your real nature: happiness, truth and love. We honour our selfless IVPT volunteers and sevaks on World Social Work Day. Service to others is the surest way to purify the heart and selfishness. 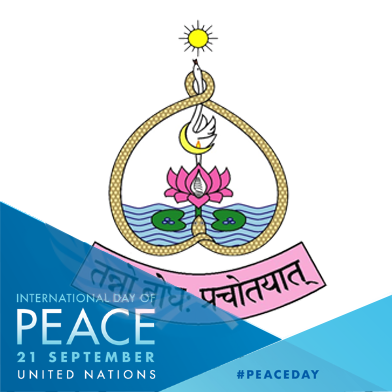 As our Founder His Holiness Swami Isa says, "Give to the world what you desire from the world." The Isa Viswa Prajnana Trust has brought out an English edition of His Holiness Jagadguru Swami Isa's book, Education for Total Consciousness. 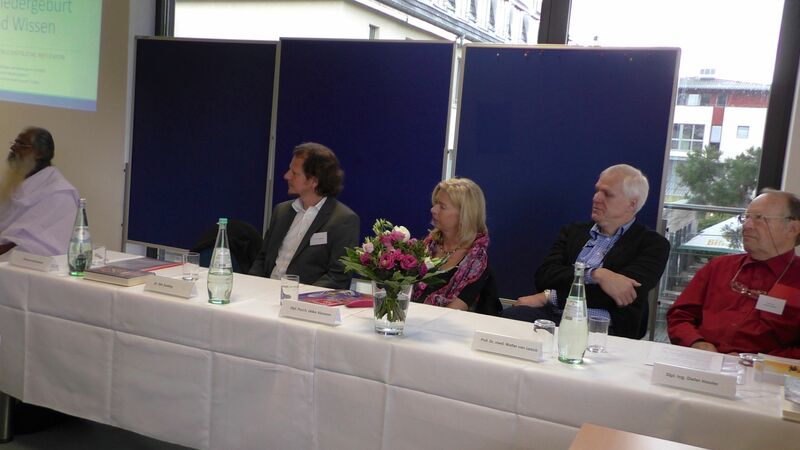 The book is an extremely thoroughly developed explanation of His Holiness' philosophy and approach towards education. He points out the failures of the modern educational system, and provides extremely practical methods for rectifying it, which can be adopted by any school and integrated into any curriculum. 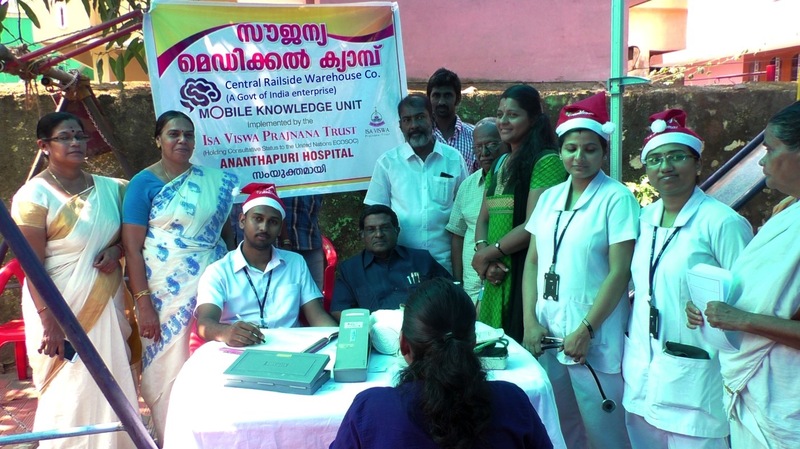 The Isa Viswa Prajnana Trust (IVPT), with the assistance of Ananthapuri Hospital, conducted a free medical camp for the residents of Padassery Colony, a slum area in Trivandrum, on Christmas day. 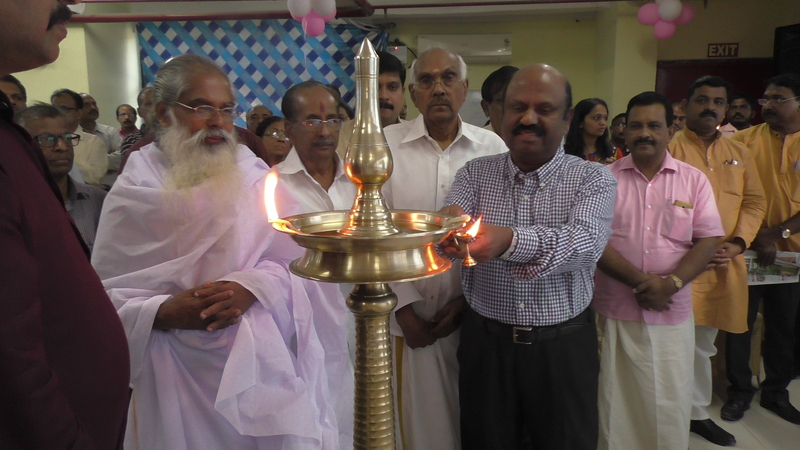 The camp was inaugurated by Dr. K. Prasanna Moorthy, Ret’d HOD, Dermatology, Trivandrum Medical College. Ward Counsellor Smt. Beena was the Chief Guest. 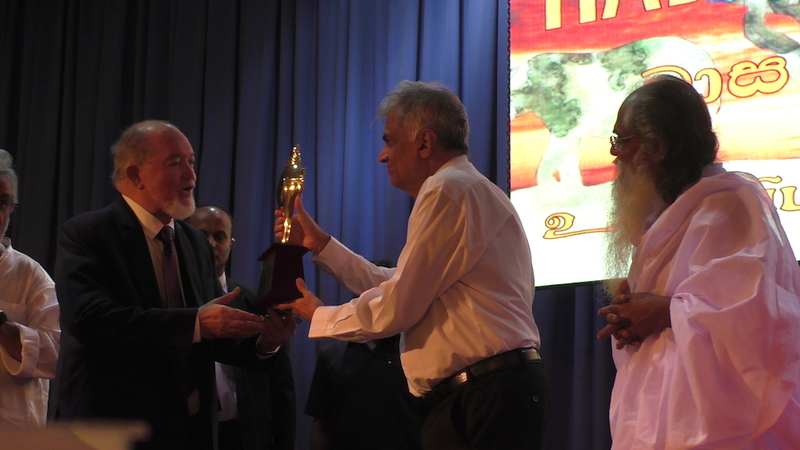 The Global Energy Parliament, co-organized by the Isa Viswa Prajnana Trust and the Interfaith Coalition for Peace of Sri Lanka, held an international session of parliament in Colombo. The Hon. 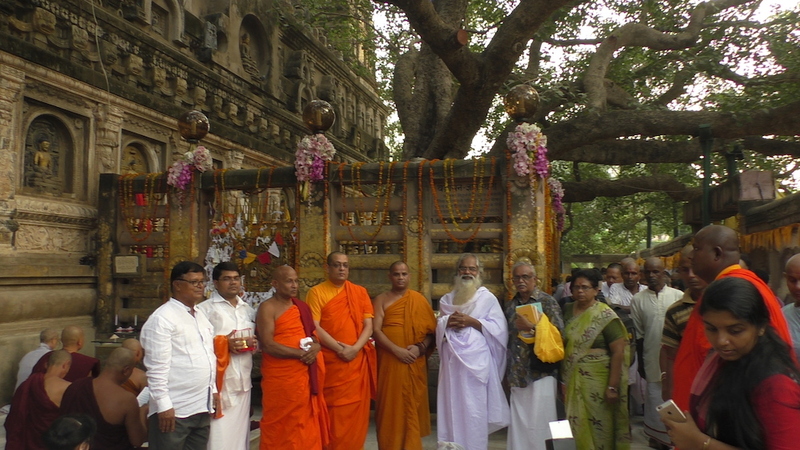 Prime Minister of Sri Lanka, Ranil Wickremesinghe, inaugurated the function at his residence, Temple Trees. 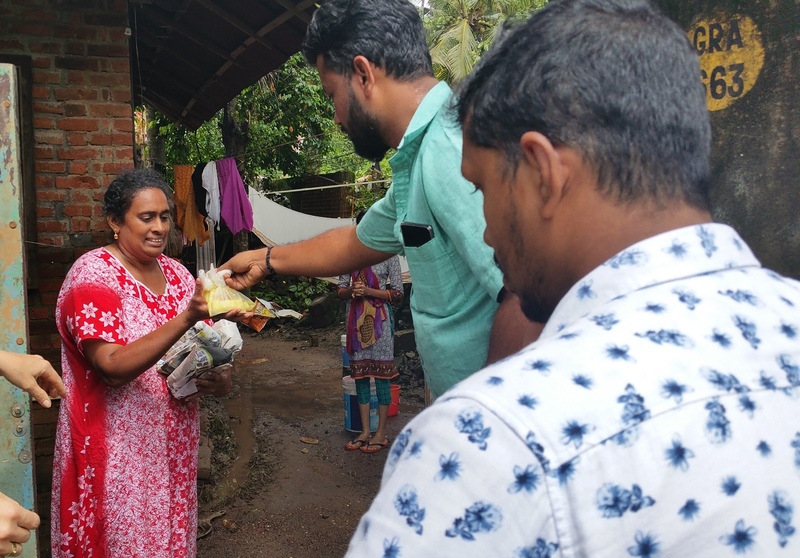 The Isa Viswa Prajnana Trust is implementing a “Mobile Knowledge Unit” visiting selected slums in Trivandrum, under a CSR scheme from the Central Railside Warehouse Company (a Govt of India enterprise). The unit will provide healthcare, health awareness classes, and children’s skill development for selected slums in Trivandrum. On National Organ Donation Day, IVPT is pleased to announce it is launching an organ donation campaign called "Serve, Love, Be a Donor." The Youth & Students branch of the Global Energy Parliament is taking up this campaign in colleges and schools throughout the country. It will sign up organ donors and spread awareness about organ donation and transplantation. The Isa Viswa Prajnana Trust wishes to provide relief to the homes and families who were affected terribly by the Kollam Temple Fire. 110 persons were killed and close to 400 injured on April 10 when a huge stash of firecrackers exploded at the Puttingal Devi Temple in Kollam, Kerala. The blast and subsequent fire caused extensive damage to nearby buildings. 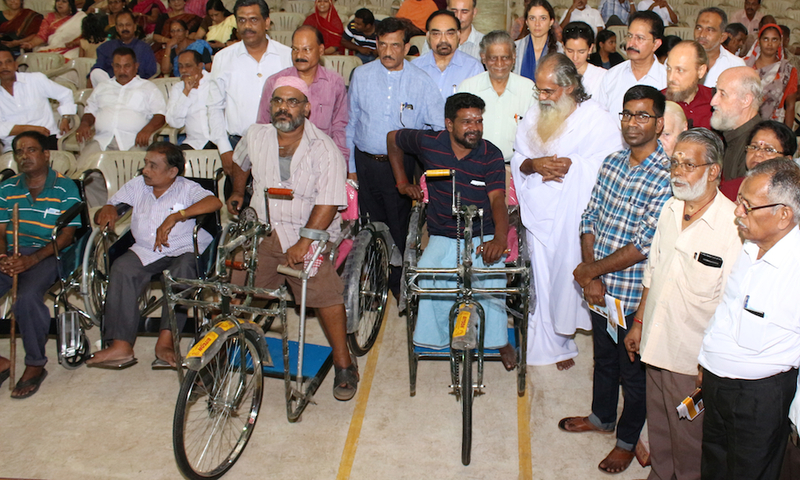 As part of its commitment to the relief of vicitms of natural disasters, the Isa Viswa Prajnana Trust donated wheelchairs, tricycle handmovers, walkers, beds, and other medical supplies to economically disadvantaged palliative and pain patients in Chennai flood-affected areas. These items will improve the quality of life for the terminally ill and pain patients, increase their mobility and reduce their suffering. 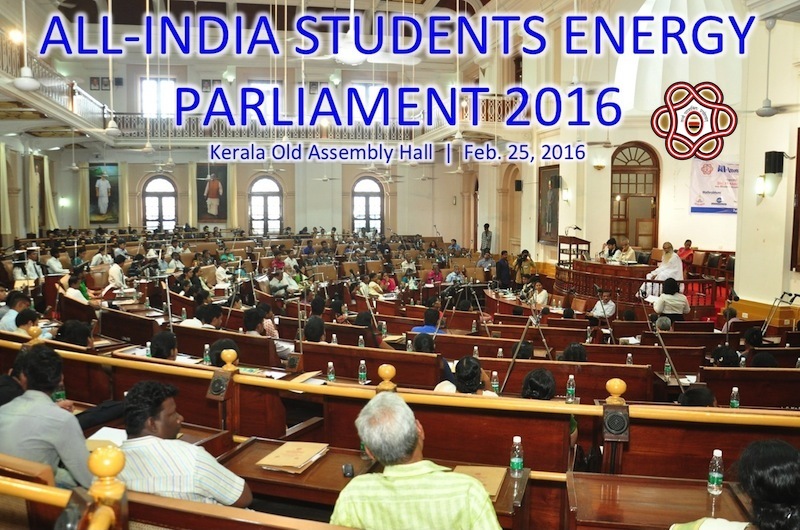 The Isa Viswa Prajnana Trust and the State Institute of Languages, Govt of Kerala conducted the 2016 GEP All-India Students Energy Parliament on February 25, 2016 at the State Secretariat Assembly Hall, Thiruvananthapuram. Join the Isa Viswa Prajnana Trust Internship program! Gain hands-on experience, develop key skills and impact global sustainability by joining the Isa Viswa Prajnana Trust’s Internship program. Empower yourself with a holistic learning environment of the traditional Ashram. 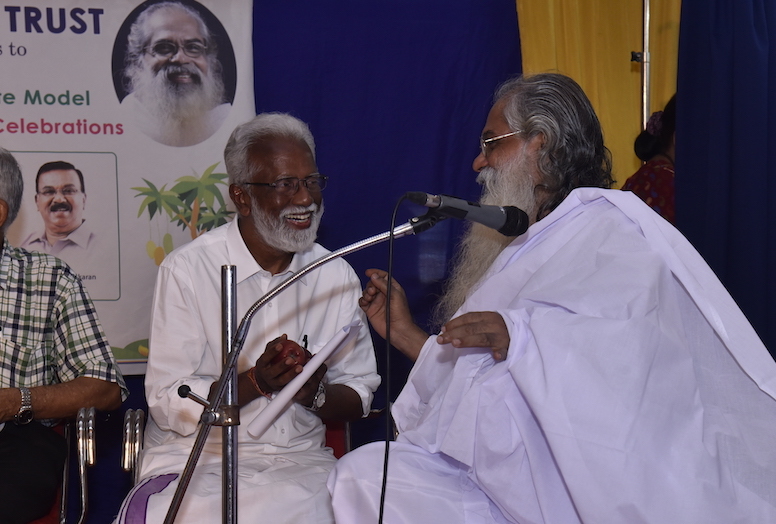 The Isalayam Ashram and Isa Viswa Prajnana Trust held the 61st Jayanthi Celebrations of His Holiness Jagad Guru Swami Isa on October 23, 2015 in Trivandrum. 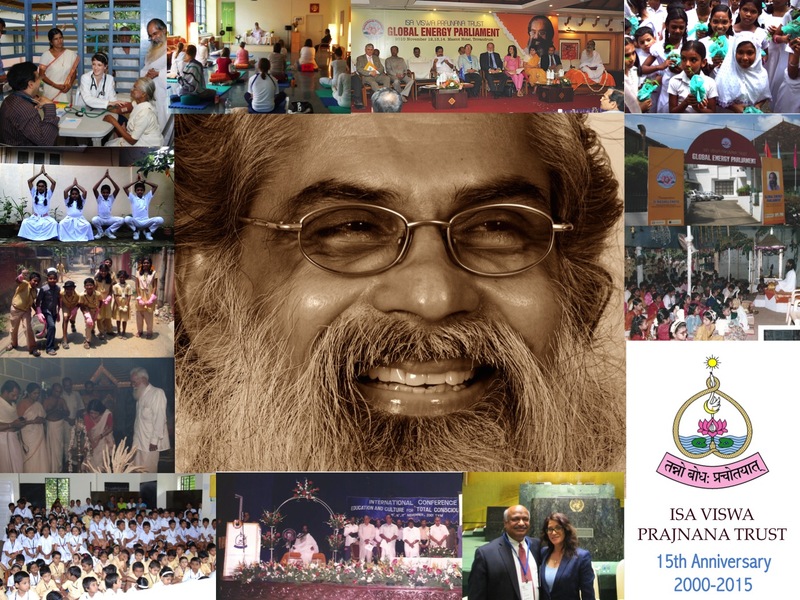 Happy Anniversary, Isa Viswa Prajnana Trust! On August 31, the Trust celebrated 15 years of service to society. 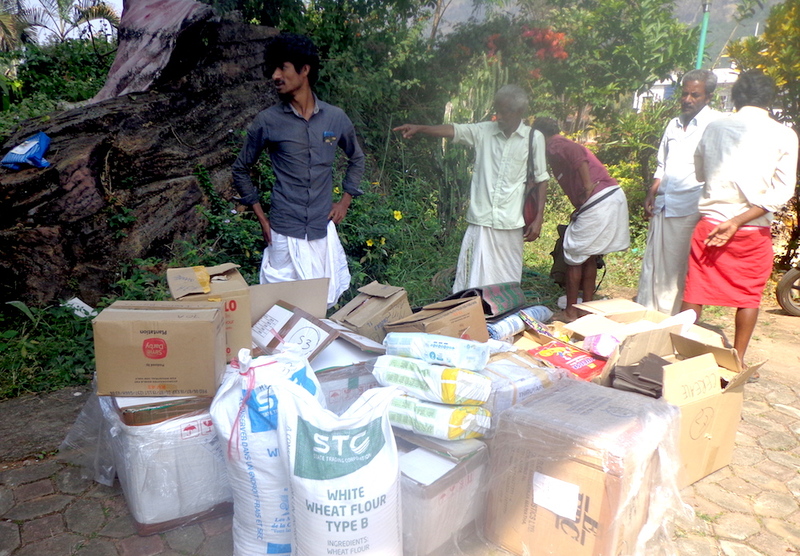 The Isa Viswa Prajnana Trust distributed "Onam Kits" containing food items (rice, oil, jaggery, tea, potatoes, paisam, etc.) 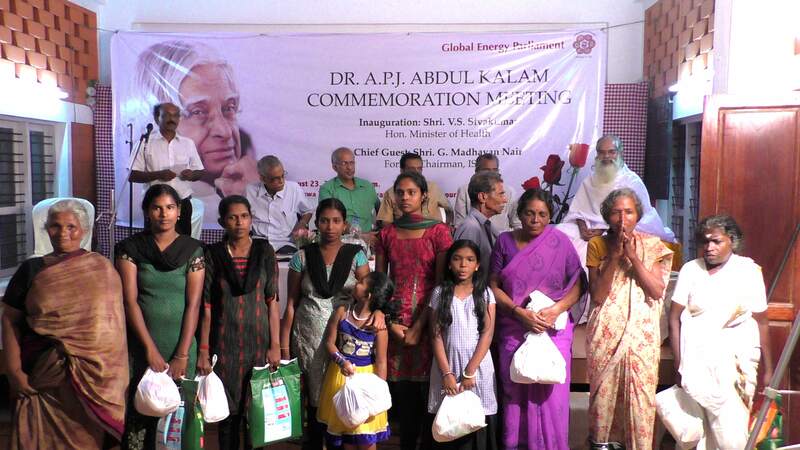 to disadvantaged communities at the Global Energy Parliament Commemoration Meeting of the Dr. APJ Abdul Kalam held on August 23. 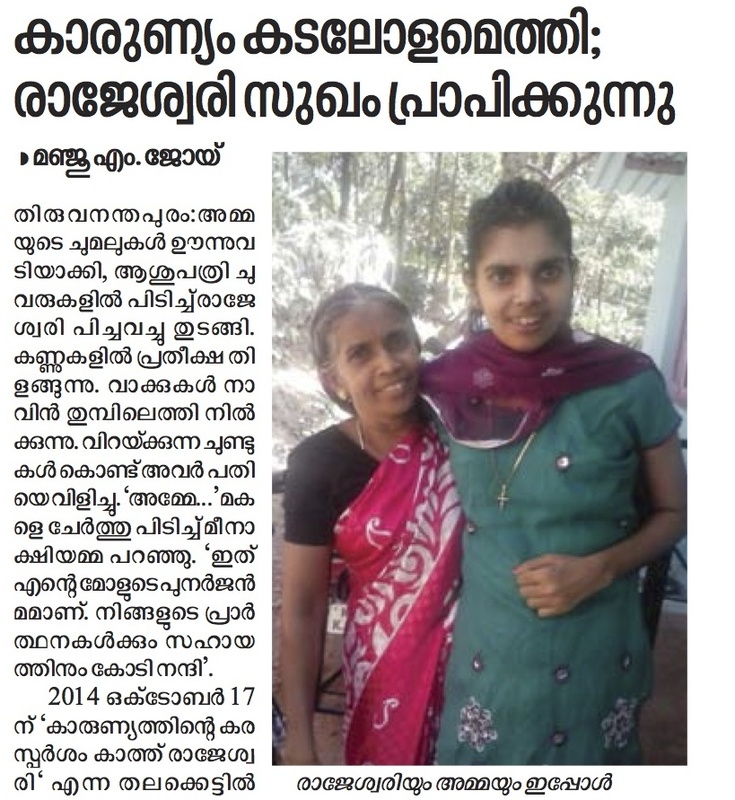 The previously parially paralyzed Rajeswari was unable to move most of her body or speak, and cried in pain. But now, she is smiling and mobile after undergoing medical treatment donated by the Isa Viswa Prajnana Trust last November. 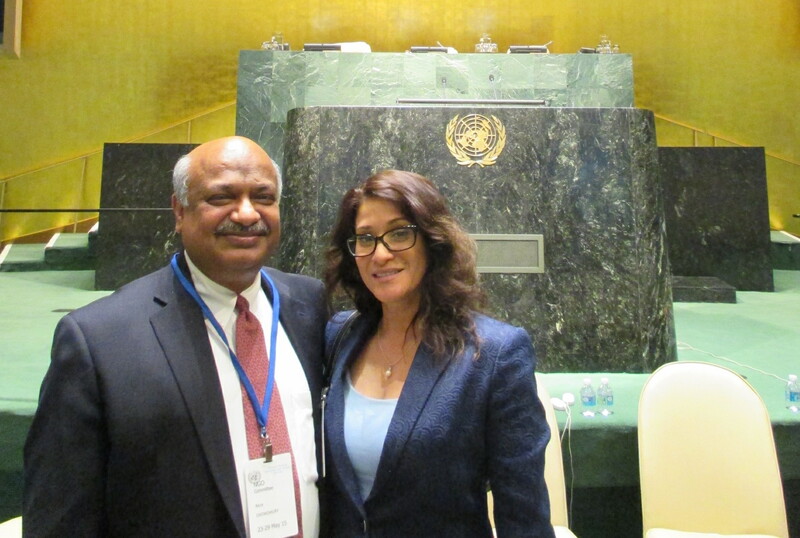 The Isa Viswa Prajnana Trust has been granted consultative status to the Economic and Social Council (ECOSOC) of the United Nations, as of July 2015. 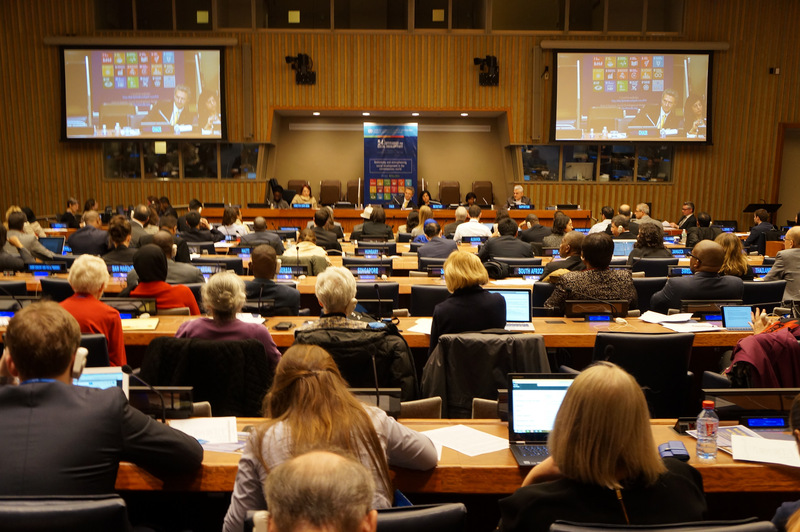 Consultative status with ECOSOC enables nongovernmental organizations (NGO's) to interact with the ECOSOC as well as the United Nations Secretariat, programmes and agencies. Currently, 4,045 NGO's enjoy consultative status with ECOSOC. 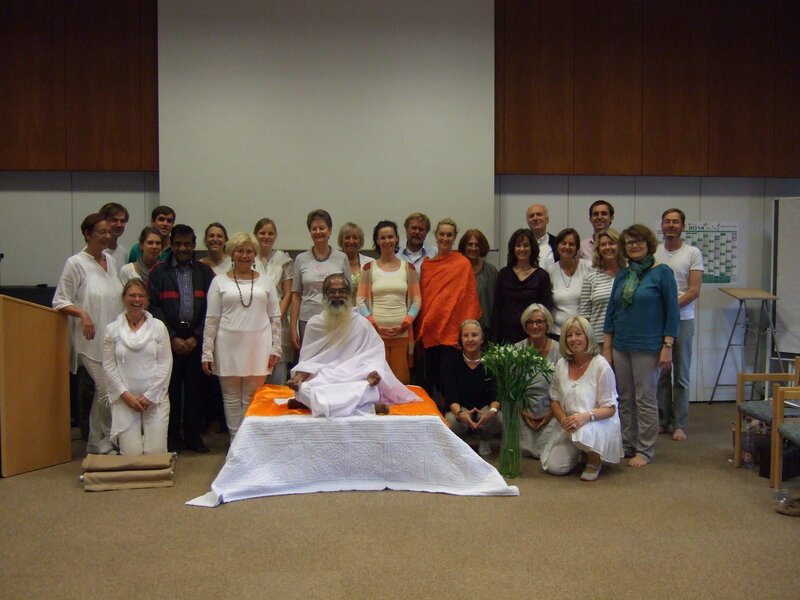 * Yoga Day with Swami Isa at the Akademie Klausenhof in Dingden, Germany -- where Swamiji conducted a special class on Surya Namaskar (Sun Salutation), and the inner science of yoga. Students young and old participated and enjoyed themselves very much as they aligned their bodies, thoughts and emotions to universal happiness! 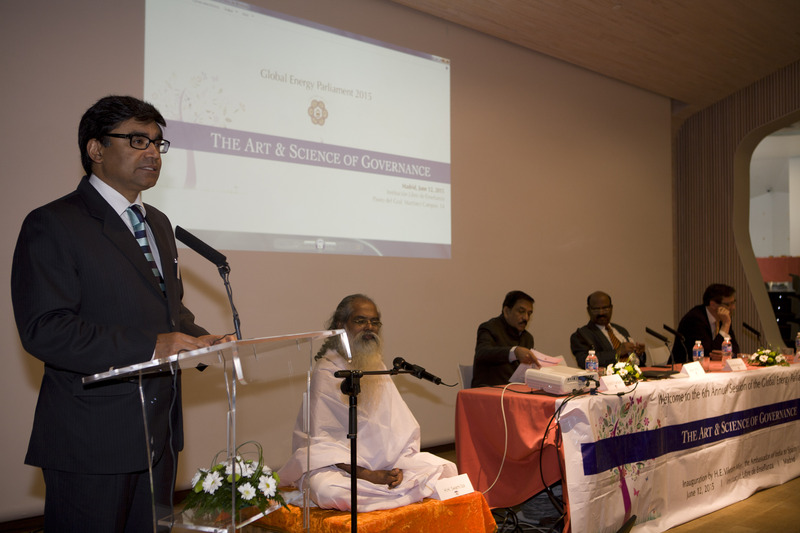 The 6th Global Energy Parliament was held in Madrid on June 12, 2015 in the presence of His Holiness Swami Isa, on the topic of "The Art and Science of Governance." His Excellency the Ambassador of India to Spain, Mr. Vikram Misri, inaugurated the event. 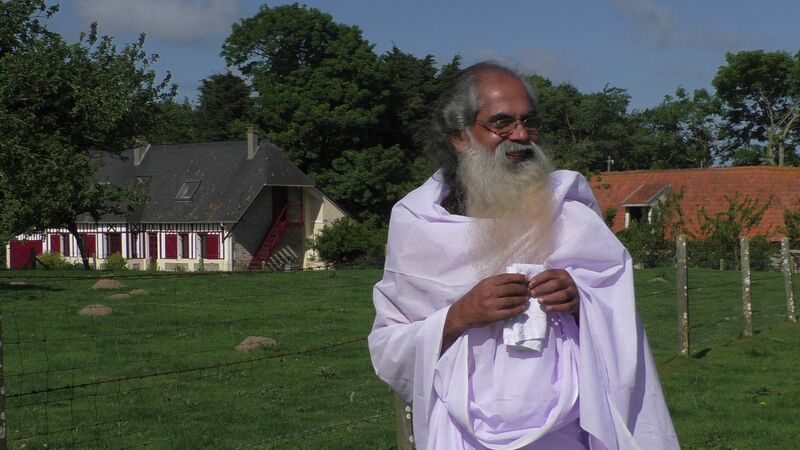 Isalayam now has a centre in Normandy, France, on the cliffs overlooking the ocean. The beautiful space is being converted from a farm into a centre for Life for Total Consciousness and agricultural projects. They plan to include fruit tree nursery for the IVPT's "One House, One Fruit Tree Project," where volunteers will grow fruit trees to distribute to residents of urban areas. 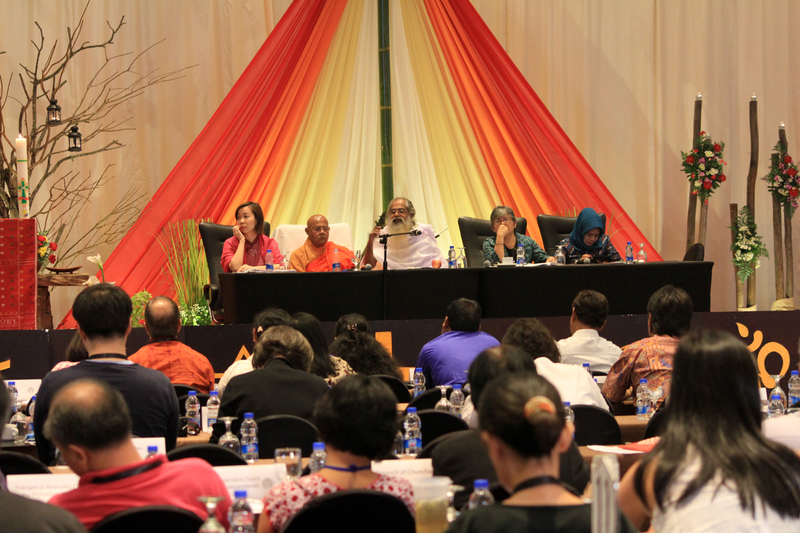 Swami Isa was invited to Jakarta to speak at the 16th General Assembly of the Christian Conference of Asia on May 25, 2015. The Interfaith Panel on which he participated had talks by representatives of the Muslim, Buddhist and Christian faiths, and Swamiji represented the Vedic (Hindu) tradition. "Aarsha Samskara" was Swamiji's main topic, and the 4 pillars of the vedas: Dharma, Aartha, Kamaa and Moksha. 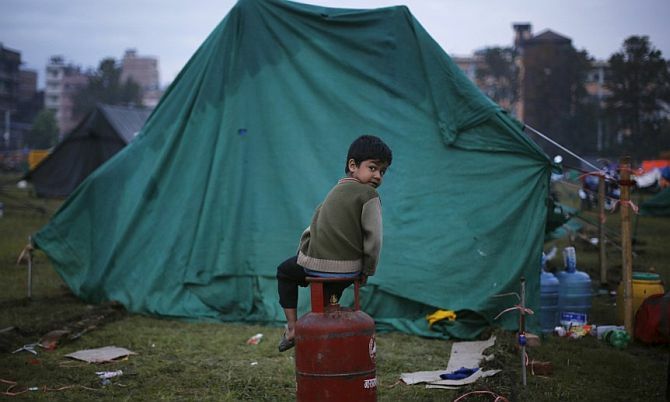 The Isa Viswa Prajnana Trust has set up a Nepal Relief Fund to provide disaster-relief to the victims of the Earthquake which struck Nepal earlier this year. The Trust will be sending donations and relief materials, working with the Government of India and reputable NGO’s on the ground in Nepal. 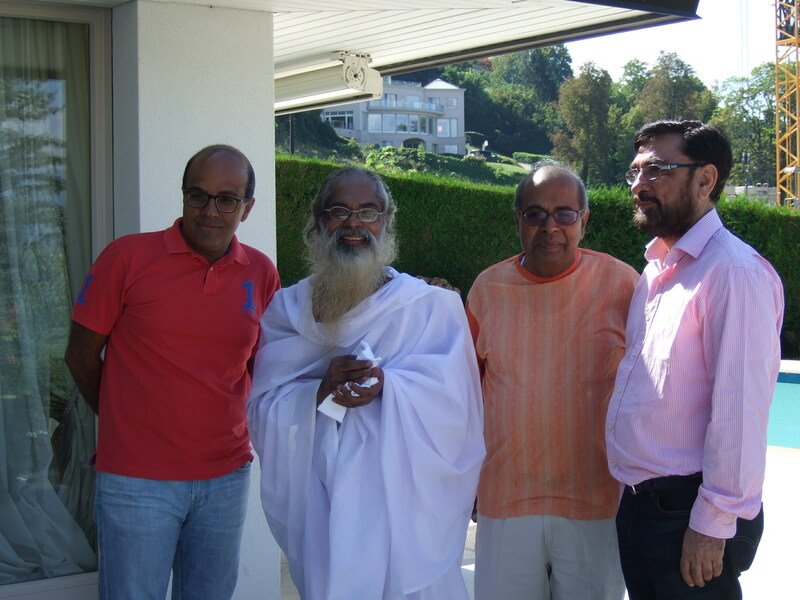 Swami Isa met with Mr Prakash Hinduja, Ajay Hinduja and KD Lamba at the Hinduja's residence in Geneva. The Isa Viswa Prajnana Trust is spreading awareness about proper internal and external cleaning methods as part of its “2015 Subjective Cleaning Campaign.” Mr. D. Sasi, Mass Media Officer of the Department of Health inaugurated the campaign at the Isa Viswa Vidyalayam on January 9, 2015.